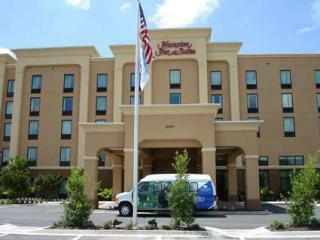 Hampton Inn & Suites Jacksonville Airport is a certified Florida Green Lodging Facility. The Florida Green Lodging Program is a voluntary initiative of the Florida Department of Environmental Protection (DEP) that designates and recognizes lodging facilities that make a commitment to conserve and protect Florida’s natural resources. The program’s environmental guidelines allow the hospitality industry to evaluate its operations, set goals and take specific actions to continuously improve environmental performance. Designated members of the voluntary Florida Green Lodging Program adopt numerous green practices that conserve energy, reduce water consumption, protect air quality and reduce waste.